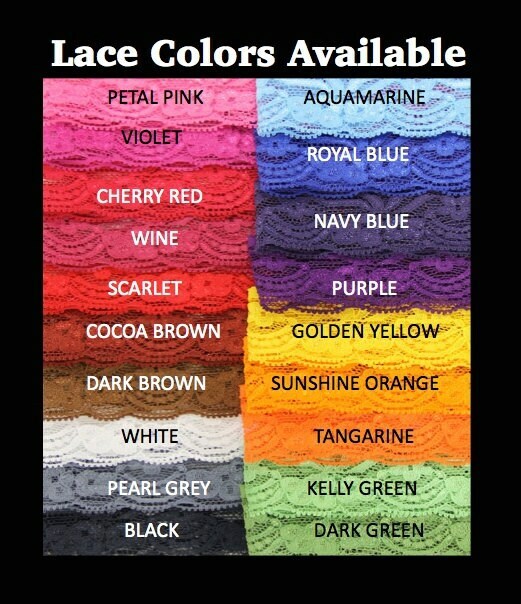 CHOOSE YOUR SIZE 16" 17" 18" 19" 20" 21" 22" 23" 24" 25" 26"
Customizable Garter Set!! ~ It's YOUR day! 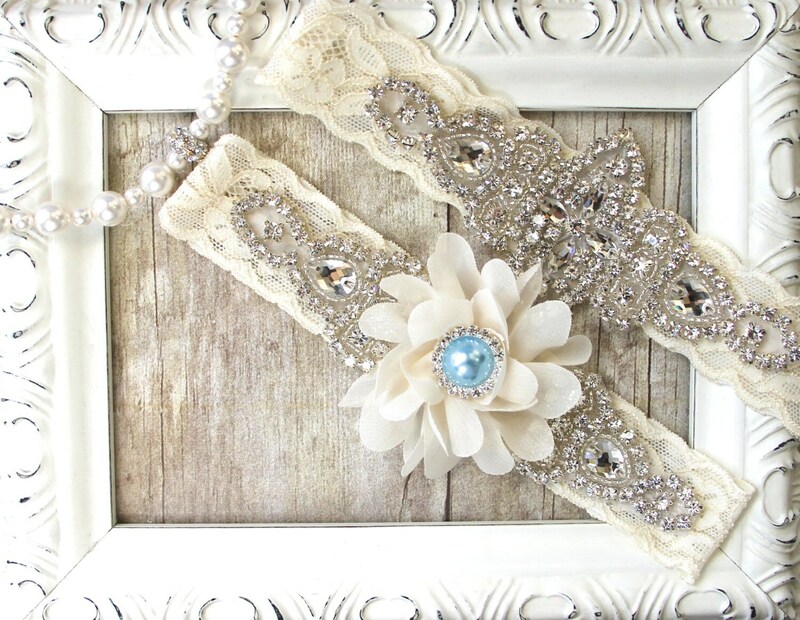 Gorgeous customizable vintage style soft stretch lace garter set embellished with exquisite rhinestone detail and a beautiful customizable chiffon flower adorned with a customizable soft baby blue pearl, surrounded by Austrian crystal rhinestones, for your something blue! 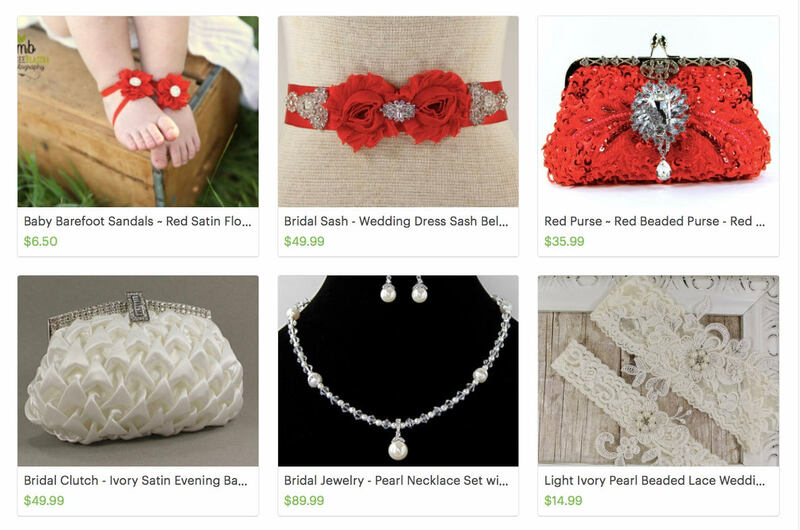 All of our garters are packaged in a beautiful gift box, making the perfect gift! 1. 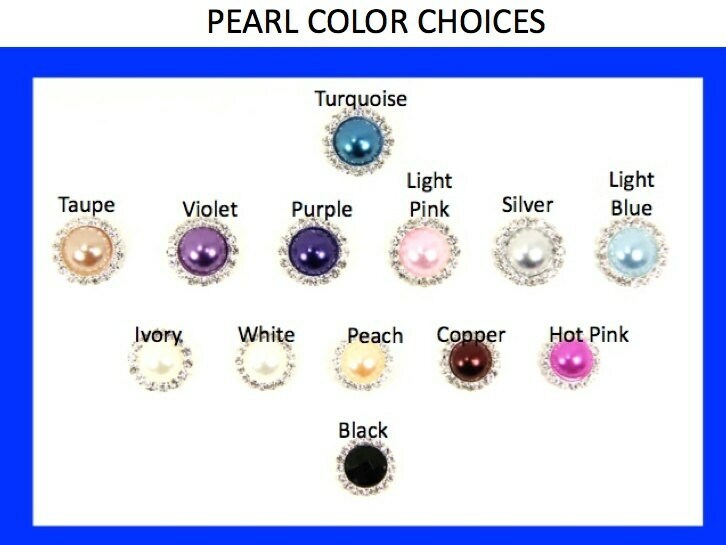 Choose your lace color & size from the drop down menu. 2. 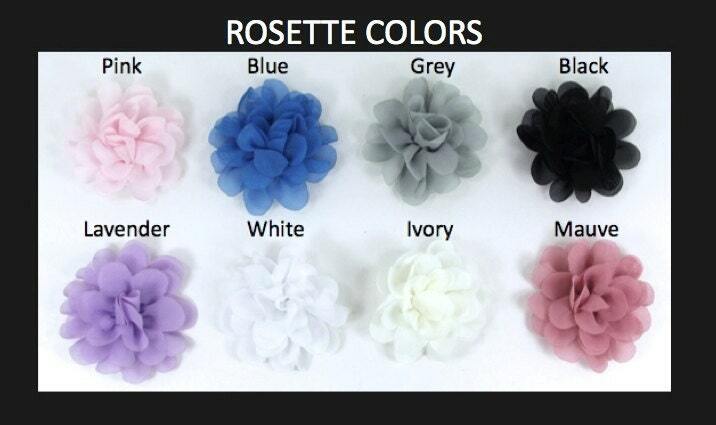 Leave your rosette and pearl color preference in the Note To Seller Box (on checkout page). 3. 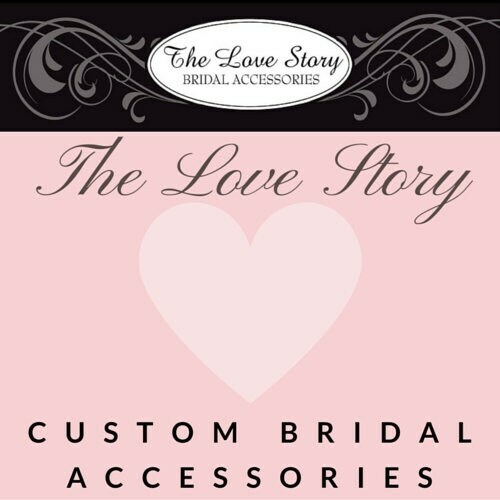 Make sure to leave your wedding date in the Note To Seller Box as well so we can prioritize your order. If you need it sooner please select Priority Status to bump your order to the top of our pile and upgrade your package from First Class to Priority Mail. Select your thigh measurement in the drop down menu above. To measure your thigh please make sure you are standing up! You can use a soft measuring tape and place it where you would like to wear your keepsake garter or you can use a piece of string and place it against a ruler to get your measurement. Please do not take off inches as we will take in the appropriate amount to ensure a comfortable fit. 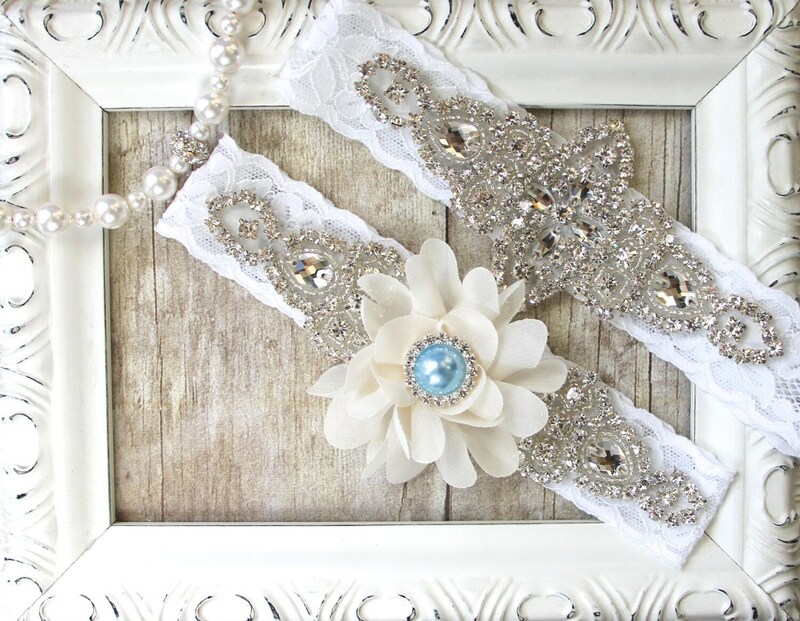 We will adjust the toss garter according to the measurement of your keepsake garter. 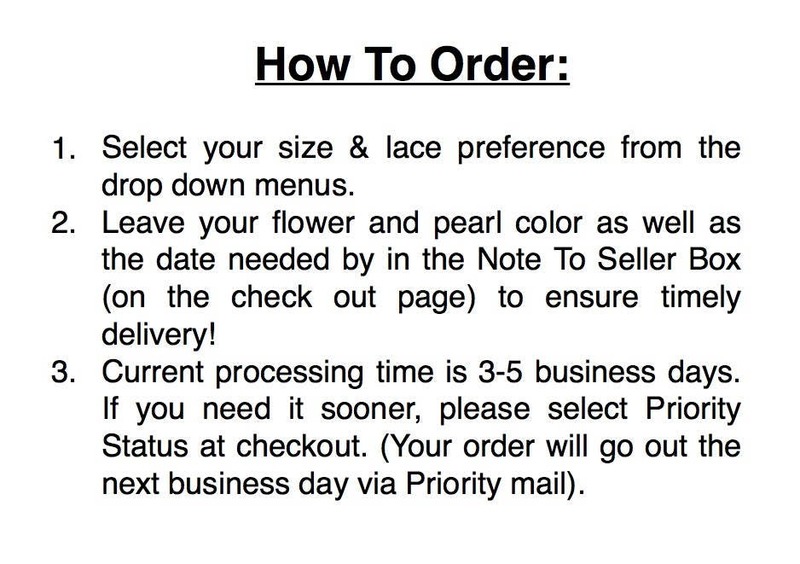 Please allow about 3 to 5 business days to complete your order. 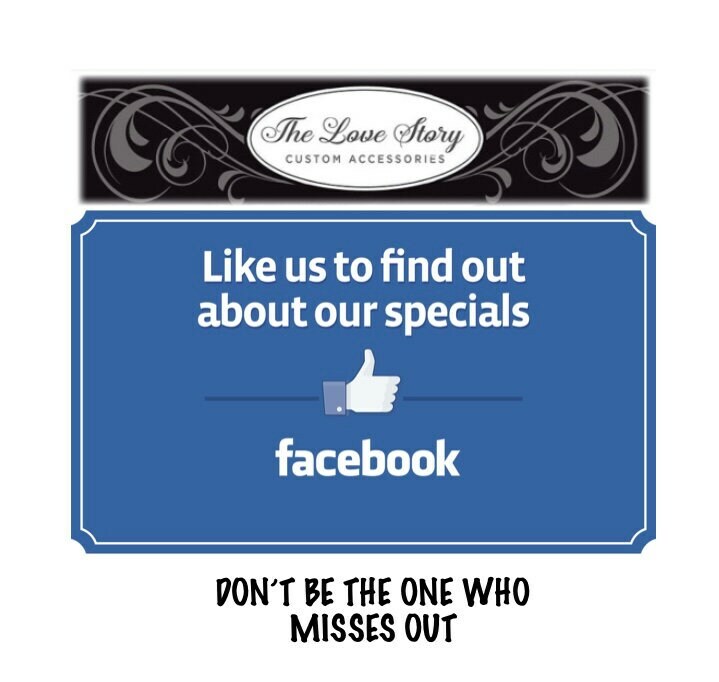 Please leave your wedding date in the Special Instructions box so we can prioritize our orders to ensure timely delivery! If you need it sooner you will need to select Priority Status. Absolutely stunning piece! I can't wait to wear it!